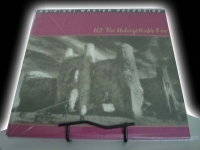 "U2, The Unforgettable Fire - FACTORY SEALED MFSL 200 Gram"
MFSL Anadisq 200 Gram 1/2 Speed LP "Out of Print, Last Copies". The Unforgettable Fire was the groups second No. 1 release in the U.K. and achieved platinum status in the states. Tracks Include: "A Sort of Homecoming" "Pride (In The Name Of Love)" "Wire" "The Unforgettable Fire" "Promenade" "4th of July" "Bad" "Indian Summer Sky" "Elvis Presley and America" "MLK"